Hi Guys, Do you want to use WhatsApp Without Mobile Number? This trick will show you How exactly you can use WhatsApp without Mobile Number. You can either use a fake Mobile Number and even without a Mobile Number from the trick mentioned below. So, with that all being set, let quickly jump into the tutorial and see How to Create WhatsApp Without Mobile Number. With this trick, you can prank your friends and relatives by sending prank SMS, Calling them, etc without yourself revealing who you are. While using this trick, You are Anonymous in WhatsApp. No one can find who you are and even TrueCaller Cannot. I am sharing a couple of tricks below and I will surely update the article with the latest information whenever available. Update – 5th method added – Recently we got some alternatives to the app which we used earlier. In method 5 we have shared a list of alternatives, so you can try those apps, too. Alternative Apps also does the same job what other apps do. If you don’t have enough Data Balance, then try method 1, method 1 does not require any Apps. So, No Downloads, No Installations. Now, let’s quickly jump into the article and find How To Use WhatsApp without Mobile Number. Complete Anonymous…! Recently, in WhatsApp category, we shared many tricks have a look at them, too. What about pranking your Friends, Family Members or any other relatives by sending them Prank Messages? It will be cool, right? By using this trick you can send Funny Messages or All Information about a person to that person without revealing your real identity, Now that guy will think, Oh Who is this, He knows everything about me. But still, He/She is not able to find the real person behind this account. You may think. He/She can use TrueCaller to find the Mobile Number and Names, But, Can’t. So, you guy are ready, right? Below, I am sharing the list of 4methodsd by which you can use WhatsApp without Mobile Number. The Trick mentioned below is 100% safe and secure. 1. Download WhatsApp and Install it on your Phone. 2. Before typing your WhatsApp mobile number, Switch your phone to Flight Mode or Airplane mode. 3. Now go to the WhatsApp installation tab. 5. Now your Mobile number is not verified with WhatsApp, So it will ask you to verify your identity by any other alternate method. 8. Now you have to create a spoof message. You can create it using Spoof Text Message if you are an android user. If you are iPhone user, you can use Fake a Message application. The second method in our list to use WhastApp Account without verifying your Mobile Number by verifying a Fake Number. 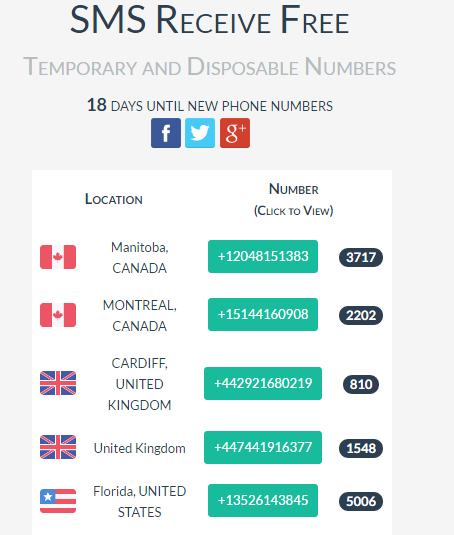 And that Fake Number will be a USA Number which will be registered to you, How cool it is? You are not required to have a USA Sim to do this, In this trick, we will register a US Sim in our Name virtually. Now let’s find what are the features of this trick. How about using WhatsApp with your Landline Connection number? Wondering How? See, How o do the same. Now you might think that It is not possible to receive SMS in a Landline connection then How we will receive the Verification Code. Only if we have the Verification Code then only we can start using WhatsApp. 1. Download and Install the Official Version of WhatsApp from the Google Play Store. 2. Install it and Open WhatsApp. 5. Now, wait for about 2 Minutes. Now, the SMS Verification Process will be failed. It will show some alternate methods to verify your Number. 6. Click on the Call Now option to receive a Call from WhatsApp to your Landline number. 7. Now WhatsApp will call you and tell you the verification code. 9. Set a DP, Provide your Name and start using WhatsApp with your Landline Number. So, that was simple, Wasn’t that easy? There are Apps similar to Primo for getting Virtual Numbers. You are not required to provide any kind of documents in order to get the Number. 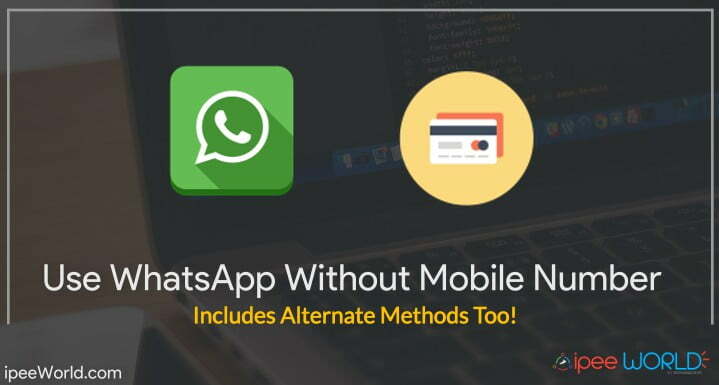 Those Similar Apps which you can use for getting WhatsApp Without Mobile Number. So, Guys, these were the top 4 Method for using WhatsApp without Mobile Number or verifying Mobile Number. Using this trick, you can prank your friends and family members by sending Prank SMS.